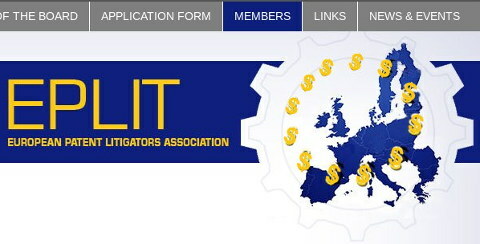 EPLIT: All about money. Everyone’s money in their pockets. LAST month we wrote about Lucy Neville-Rolfe's remarks about the UPC. She doesn’t seem to care what the British public wants. She actively works for the interests of the microcosm she associates with. Some call her “Baroness” and given the “Robber Baron” concept, this might be an apt title. Patent lawyers are, in very general teams, making money from patent wars that target not other patent lawyers but producing companies, i.e. scientists and producers, who then require patent lawyers to “defend” them. Patent lawyers have no personal products/services/agenda at stake; to them it’s like selling weapons to be funneled into a war in which they don’t participate (as soldiers). Shelston IP, an Australian law firm whose staff acts like software patents lobbyists these days [1, 2], wrote about the Patent Prosecution Highway (PPH) which we mentioned here before in relation to Australia, Colombia (with the EPO) and in past years in relation to the US/USPTO [1, 2, 3]. What’s not to like when there’s “prosecution” at stake? This is, in essence, what the UPC is about. The C stands for “Court” because it’s presumed that litigation is both desirable and inevitable. That’s an expensive ‘product’ which patent lawyers ‘sell’, so they want more of it. The Brexit vote of June 23rd sent shockwaves throughout both the EU and the UK. Some take the vote as proof of Charles de Gaulle’s age-old observation, that Britain simply does not fit into the EU: “[L’Angleterre] a dans tout son travail des habitudes et des traditions très marquées, très originales. Bref, la nature, la structure qui sont propres à l’Angleterre diffèrent profondément de celle des continentaux.” Others see it as the death knell to the EU and / or the UK as we know them. No, this is totally nonsense. Without English, UPC would be obsolete as many of the stakeholders would be from English-speaking countries or countries that don’t understand French and German (barely anyone there speaks those languages). Even the patent trolls which UPC threatens to invite require English. So who would English be for? The Irish? With Brexit, the conflict over languages would only deepen and threaten to drive Italy back to the opposition. Spain would then have rivalry with Italy and the whole appeal of the UPC decline considerably. “Today,” wrote another person, “the European Patent Litigators Association (EPLIT) has urged UK government to ratify UPC Agreement as soon as possible” (direct link). Will Baroness Lucy Neville-Rolfe, the lapdog of Battistelli and his thugs, lead the charge for UPC in the UK or will she choose to respect the rule of law, common sense, and will of the people (not patent lawyers)? No need to be sorry. The UK doesn’t need UPC. It was never a gift at all. The U.K. will have a new PM by Wednesday apparently and she has stated that Brexit is Brexit. Hard to imagine that the UPC can sneak through parliament unnoticed (with summer recess almost upon us) and party conference time in September breaking it up further. Soon would only be possible in October I’d guess and by then Brexit may be up and running. Hard ball from some EU states may even risk the UK not being accepted for signing? Hasn’t Cameron already been excluded from some EU summit sessions? I wouldn’t be surprised if some states (looking at a court) might challenge it. The author’s suggestion that minor reform may be the best (only?) option seems pragmatic and realistic. – the system can gain momentum in the coming years, while the UK is still in the EU (the new UK prime minister has indicated that Brexit should be done carefully, and thus slowly). – the UK will have the advantage that once the system is started they will be considered indispensible for the continuation of the system (they are already deemed to be indispensible before the system has started), which will improve their negotiation position.